SWIDOM is the largest end-to-end international blockchain agency based in Kyiv, Ukraine, focused on fundraising and service providing, being expert in building communication with all types of projects and companies. SWIDOM helps ambitious teams to raise capital in three key areas - ICO, STO and VC, raised more than $150m for projects like NAGA, BANKEX, and many others in both public and private sales, covering all services from business development and community management to security and legal services. Blockchain investor and Evangelist, Co-Founder at SWIDOM David Shengart has demonstrated success delivering partnership contracts with more than ten biggest banks within CIS, the EU, and Asia region; devising improvements, planning executable strategy, building teams, coaching, and leading cultural/ competence change. Therefore strategic partnership with KYCBench brings SWIDOM and their customers to the world of official regulations compliance. This will result in the integration of the KYC verification process, which will benefit the cryptocurrency service sector by insuring trust between users and providers. 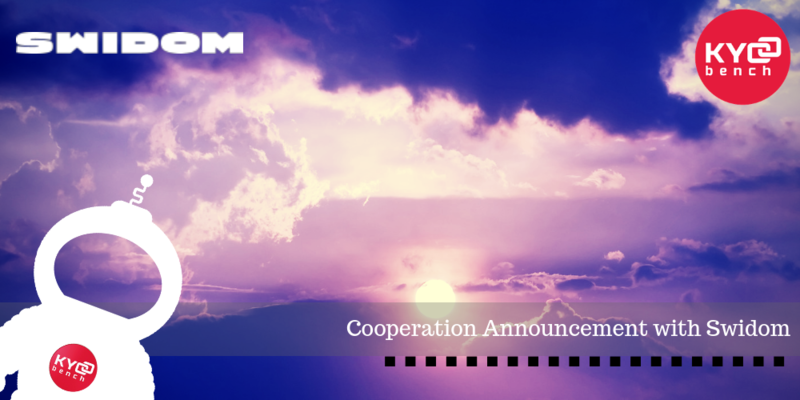 Cooperation framework with a KYCBench, GDPR and ISO27001 compliant KYC platform solution, aims to significantly increase the security and desire to eliminate any potential threats associated with financial damage and other criminal activities of the ICO, STO and VC investors.